Marshall Z. Schwartz, MD was born in Minneapolis, MN. His undergraduate and medical school educations were obtained at the University of Minnesota. Dr. Schwartz completed his internship at New York Hospital-Cornell Medical Center and then returned to the University of Minnesota to complete his General Surgery Residency. He then moved to Boston to receive his Pediatric Surgery fellowship training at the Children’s Hospital-Harvard Medical School. Dr. Schwartz has held leadership positions in Pediatric Surgery at several universities and teaching children’s hospitals including Chief of Pediatric surgery at the University of Texas and the University of California, Davis, as well as Surgeon-in-Chief at the Children’s National Medical Center in Washington, DC. Currently, Dr. Schwartz is the Surgeon-in-Chief, Associate Program Director of the Pediatric Surgery Fellowship, and Director of the Pediatric Surgery Research Laboratory at St. Christopher’s Hospital for Children in Philadelphia and is Professor of Surgery and Pediatrics and Vice Chair, Department of Surgery at Drexel University College of Medicine. He is also Professor of Surgery and Pediatrics at Temple University. Dr. Schwartz has had a long standing interest in basic science research. The focus of his research has been the role of certain growth factors in the management of intestinal failure. Dr. Schwartz initiated this hypothesis in 1975 and has contributed significantly to advancing this field to preclinical studies. This research and other academic activities have led to over 155 publications in peer reviewed journals, over 212 presentations at national and international meetings and 4 patents on specific intestinal growth factors. Throughout his career Dr. Schwartz has been involved in national and international Surgery and Pediatric Surgery organizations. He is the past Chairman of the Pediatric Surgery Board and completed a 6 year term as a Director on the American Board of Surgery. He has extensive involvement in the American College of Surgeons which is the largest surgery association in the United States. He has been the Chairman of the Advisory Council for Pediatric Surgery and Chairman of the Advisory Council Chairs. In 2009 he was appointed to a 9 year term as one of 22 Regents of the American College of Surgeons which is the governing body of the College. In addition Dr. Schwartz serves on several committees for the American College of Surgeons and recently became the Chair of the Comprehensive Communications Committee. Dr. Schwartz has served as the President of the Pacific Association of Pediatric Surgeons and recently was awarded the Coe Medal for distinguished contributions to the field of Pediatric Surgery. He has held several leadership roles in the American Pediatric Surgical Association (the primary pediatric surgery academic association in the US) including being President-elect and President (2010-2011). Dr. Schwartz was elected to a 6 year term on the Surgery Residency Review Committee of the Accreditation Council for Graduate Medical Education (ACGME). Recently, Dr. Schwartz was honored to be elected as an honorary fellow of the Royal College of Surgeons of England. Dr. Schwartz is involved on a national level in health policy issues and health care reform. He is a Senior Scholar in Health Policy at Thomas Jefferson University School of Population Health and is the Vice Chair of the American College of Surgeons Health Policy Advisory Group. 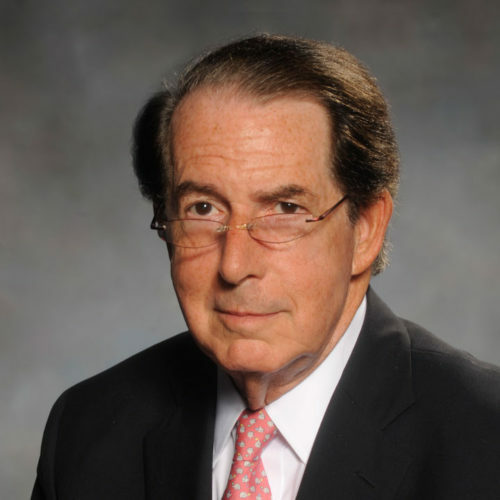 He also serves on several boards including the American Pediatric Surgical Association Foundation Board, the Gift of Life Organ Procurement Board, and the St. Christopher’s Hospital for Children Board. Dr. Schwartz maintains an active pediatric surgery practice and a productive basic science research laboratory. He is married and has two adult children and four grandchildren.